Collard Greens and Black-Eyed Peas! Greens are a traditional food symbolizing wealth in the coming year since the greens resemble folded dollar bills. Black-eyed peas and other beans also symbolize wealth due to their resemblance to coins. In the South, black-eyed peas also represent luck, going back to various stories from the Civil War where black-eyed peas helped Southerners survive the winter and harsh conditions when other food was scarce. 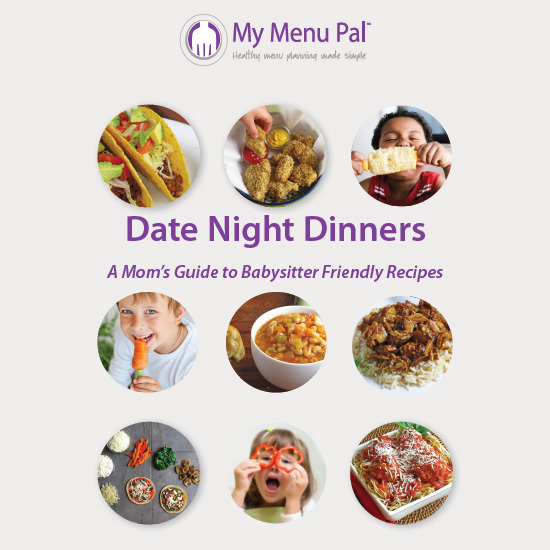 While you may not believe in superstitions, there is no doubting that collard greens and black-eyed peas are nutritional superstars that can be prepared in a number of yummy ways. Collard greens pack in a whole lot of nutrients for few calories, including protein, fiber, vitamin A, vitamin C, vitamin K, folate, calcium and iron to name a few. Likewise, black-eyed peas are packed with protein, fiber, calcium, iron, and potassium along with a bunch of other vitamins and minerals. What better way to start the new year, especially if being healthier is one of your resolutions for the new year (along with many other Americans – it is usually one of the top ones)! 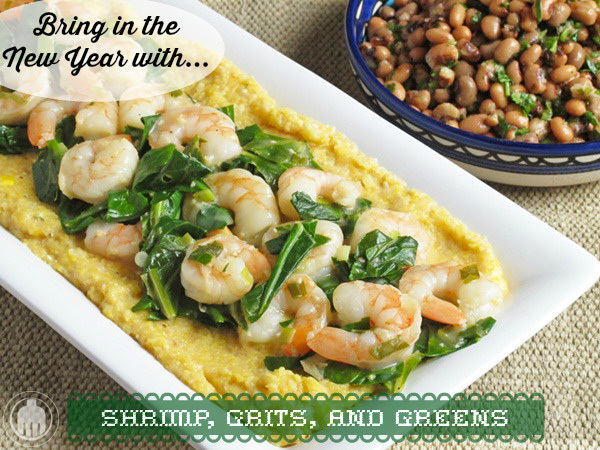 There are certainly traditional ways of eating collard greens and black-eyed peas, but we decided to put a little spin on it for an even tastier meal to kick off the new year. 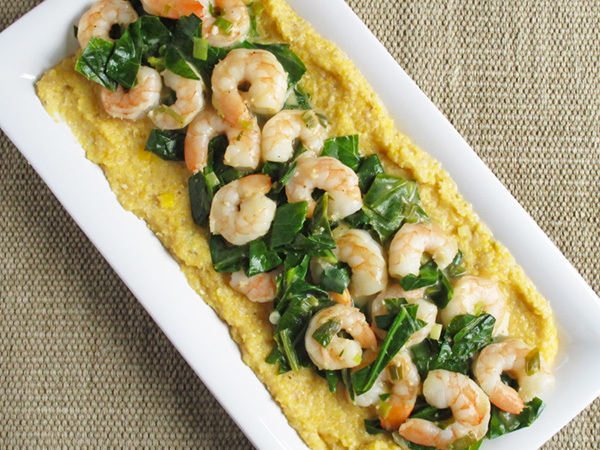 Shrimp and Grits are another Southern favorite, and throwing in some collard greens takes them to another level, both in the taste and nutrition department. For the grits, heat 1 teaspoon canola oil in a 2-quart saucepan over medium heat. Add the onions and sauté until translucent, about 2 minutes. Stir in the corn and continue cooking for another 3 minutes. Turn heat to medium-high and add the milk and water. Bring to a slow boil and whisk in the grits. Reduce heat to low and simmer for about 30 minutes or until thick, stirring occasionally. Stir in the parmesan cheese and set aside. While the grits are simmering, season the shrimp with salt and pepper. Heat 1 teaspoon canola oil in a large nonstick skillet over medium-high heat. Add the shrimp to the pan and cook for 1 to 2 minutes on each side or just until shrimp turn pink. Remove from skillet. Add remaining canola oil to the pan and reduce the heat to medium. Whisk in flour; cook 30 seconds to 1 minute. Whisk in broth and next 6 ingredients; cook about 5 minutes or until thickened. Stir in shrimp and cook for an additional minute or until the collards are completely wilted. Serve immediately over grits. 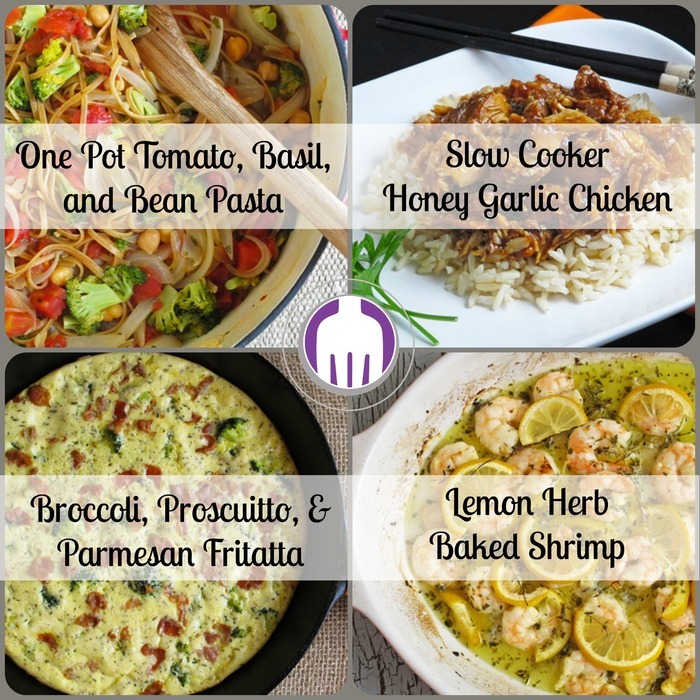 Chef's Note: Unfamiliar with grits? 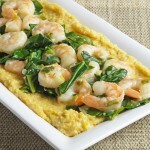 Polenta is a great substitute. Nutrition Nugget: Since Ann and Lesley live in the South, this meal is a spin on a traditional Southern new year’s day meal for fortune and good luck in the coming year. Greens, and particularly collard greens in the South, represent economic fortune in the new year. The more greens you eat, the larger your fortune. 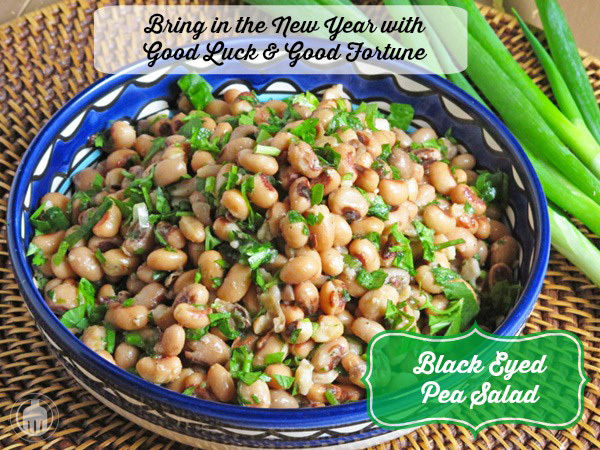 Legumes also represent money for the coming year and black-eyed peas symbolize good luck. 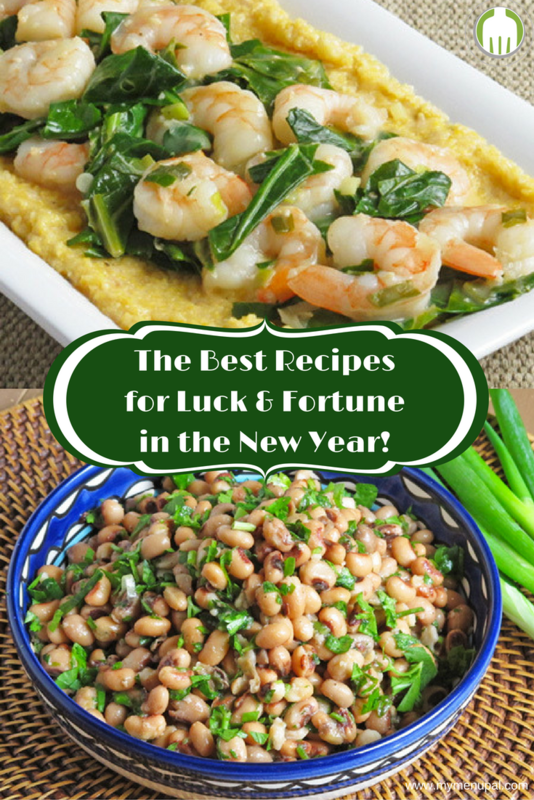 Regardless of superstition, collard greens and black-eyed peas are nutrition power houses and what better way to start the new year than with yummy nutrition super stars in your tummy! 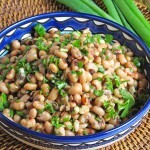 Black-eyed peas are actually very versatile and once you try this easy salad, which tastes even better the next day, it may just become a staple for a quick lunch or side dish. In a small bowl, whisk together the honey and vinegar. Slowly whisk in the olive oil, salt and pepper until well combined. 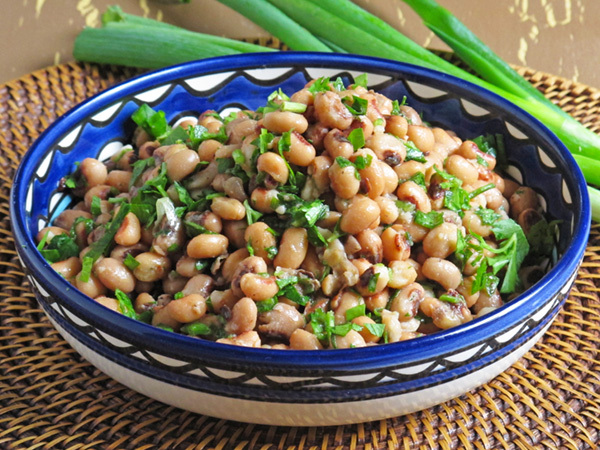 In a medium size bowl, combine the black-eyed peas, green onion, and parsley. Drizzle the dressing over and toss gently to mix well. Refrigerate the salad until ready to serve. For best flavor, chill for at least 2 hours. Make Ahead: This salad can be made up to 2 days ahead of time and stored in the refrigerator until ready to serve.